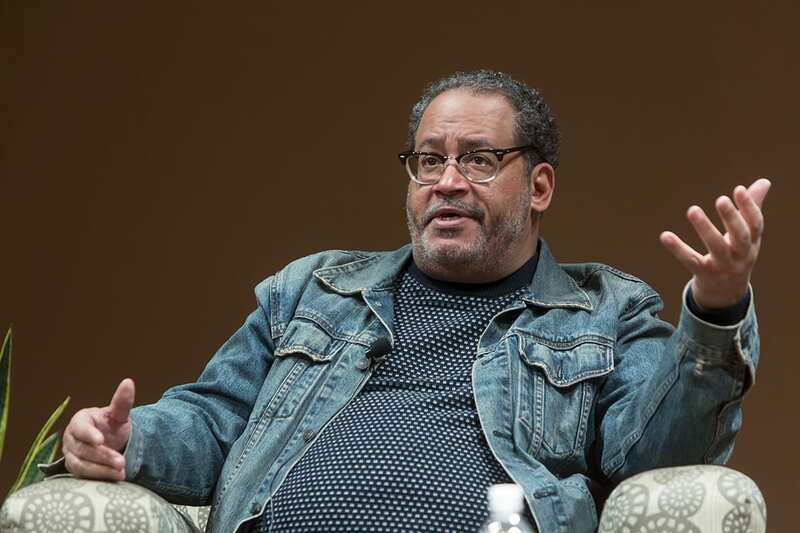 Michael Eric Dyson, a Georgetown University sociology professor, a New York Times contributing opinion writer and a contributing editor of The New Republic as well as for ESPN’s The Undefeated website, recently delivered the 2019 address for Maryville University’s annual Martin Luther King Jr. Celebration. Dyson delivered a powerful message encouraging whites to awaken to black suffering. “We are living through one of the most vicious resurgences of racial hostility, white nationalism and white supremacy in the history of this country,” he said. In his plea for change, Dyson reminded attendees of the work accomplished during the civil rights movement thanks to leaders like Martin Luther King Jr. He shared learning about the assassination of King as a nine-year-old boy in Detroit. The news coverage sparked a passion for racial and social justice in his life. The event also featured guest moderator Rebeccah Bennett, founder and principal of Emerging Wisdom, a St. Louis organization that designs and facilitates personal and professional growth programs. Bennett challenged attendees to cast a vision for the future. Additionally, Dyson met with members of the Maryville community during his daylong visit. Events included a book signing and reception hosted by the Office of Diversity and Inclusion. Maryville students, faculty, staff and alumni enjoyed the opportunity to meet and speak with Dyson. Dyson also participated in a faculty and staff book discussion around his recent work “Tears We Cannot Stop: A Sermon to White America.” Over the last two years, Mary Ellen Finch, PhD, senior associate for the Finch Center for Teaching and Learning, and Destiny Reddick, PhD, assistant dean for the school of education, have hosted small book group discussions for faculty and staff using the title. The popular and well-attended book groups helped build a diverse campus community that values inclusiveness. For students who missed the event, Turan Mullins, assistant dean for diversity and inclusion, sat down with Dyson to discuss what young people can do to improve race relations on the Maryville campus and in their own personal communities. For a full recap of the days’ events, please see below.